Face Painting Adventures has launched their new website! (PS you’re here :). After years of working behind the scenes without one, we have finally launched our beautiful new website and we are so excited to share it with you. Although we have had a web presence in places such as Thumbtack, this is our first foray into our own web presence! Face Painting Adventures has been doing face painting in Utah for years. Throughout Salt Lake City, West Valley, Provo, Orem, Draper, Lehi and all throughout Utah County and Salt Lake County, Face Painting Adventures has been painting faces. Company or corporate events, birthday parties, and family reunions are our specialty. Our new website allows you to hire a face painter by finding our contact information on our contact page, or by submitting a written request for a face painting party package or a face painter quote. We are excited to help our Utah customers by giving them cheap face painter prices, while never compromising on quality. Our beautiful face painting designs come in a wide variety such as sugar skulls, animal designs, birthday themes, fantasy, etc. Our goal is to make your kids event a smash hit and their birthday party unforgettable. We don’t just want to spread low quality paint on their face, but to provide stunning and imaginative designs that will transform their faces into an entirely different creature. Our face painting artists don’t just have talent, but they have literally spent hundreds of hours refining and honing their craft so that we can fulfill any request of a kid or an adult’s possible imagination. We never quit practicing our face painting skills because we want to maintain our position as the leading face painter in Utah. Nothing is more satisfying than seeing the joy and light that comes to a child’s face after they see their dreams and imagination come to life on their own face! When a kids imagines himself being a jaguar or a pirate, or a little girl imagines herself as a butterfly or a princess it is seldom that they see this become a reality. Hire Face Painting Adventures today so that we can make your child's dreams come true. Our new website makes it easier than ever to find information about Utah’s premiere face painter. Not only can you see a large portfolio of our face painting work, you can also view our pricing so you can calculate the rates you would be charged for face painting services. Also, we have our about page where you can learn about our face painting artists and see why we are a good fit for your party or event. Our new website features information about our company and our face painting work and designs. We are also excited to be part of the future by building our website and responsive format that is mobile friendly to make it easy to are the Utah's best face painter on any device. We are confident that you will not be disappointed in hiring Face Painting Adventures for your kids birthday party or your company event. Check out and explore our new website and look around. How is today by going to our book now page and submitting a request for a face painter at your birthday party or company event, or just give us a call! 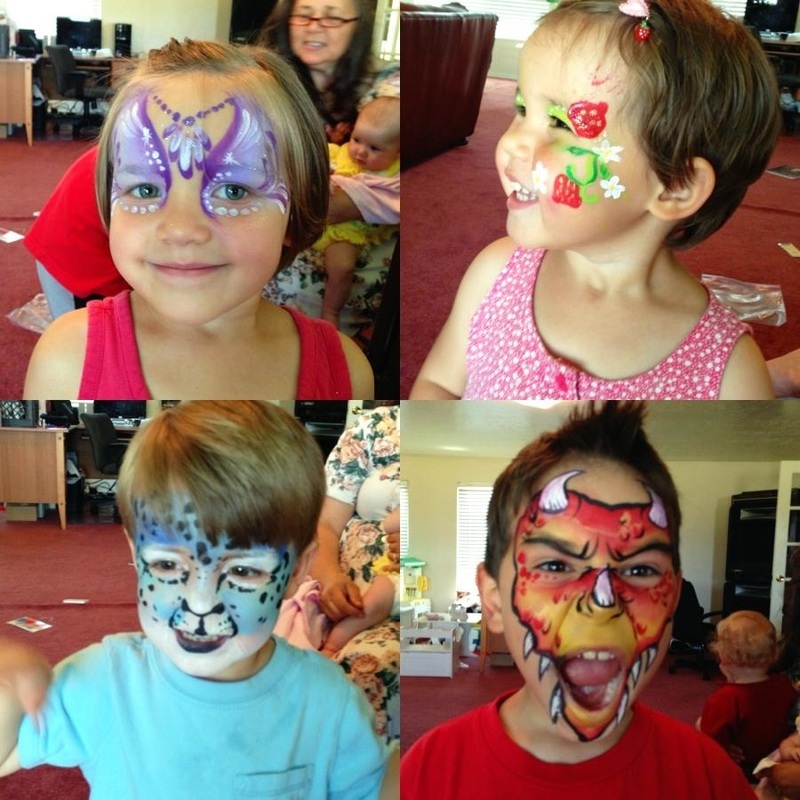 Utah's best face painter for birthday parties and corporate events. We are Face Painting Adventures Utah's premiere face painter serving Salt Lake and Utah County birthday parties and company or corporate events. Call us today to book us for your birthday party or company event.